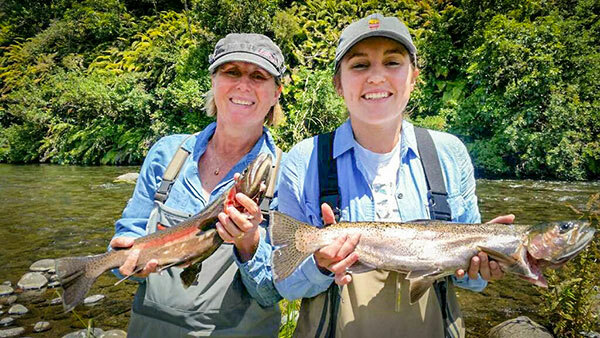 Tracey and daughter trout fishing Turangi took home some very nice rainbow trout they caught fly fishing on the Tongariro River. 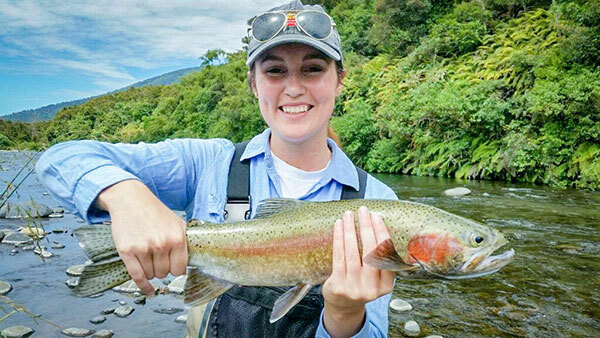 Julian Cribb fly fishing Lake Otamangakau, Turangi - landed this Rainbow Trout Hen maiden in stunning condition. Weather: 26 degree C (day), Sunny - Hot. 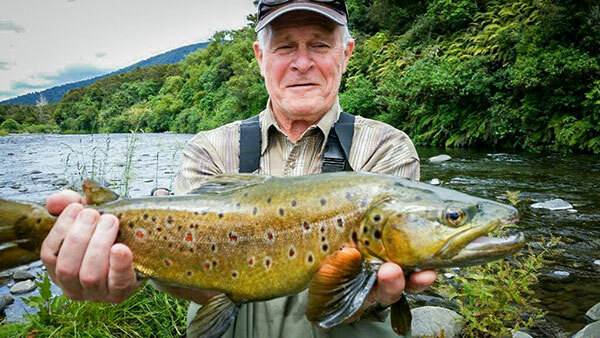 Trout fishing certainly has been good for all the fisher people fishing rivers - Lake Taupo ' Lake Otamangakau. 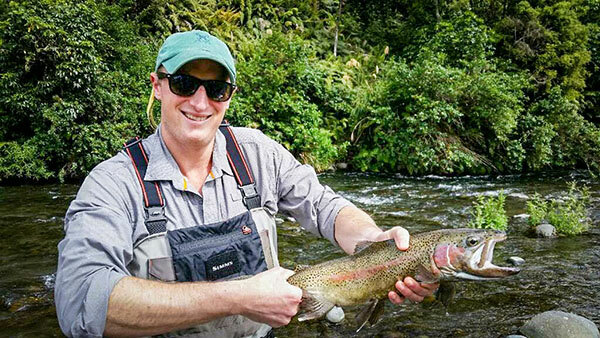 The Tongariro river has fished well with nymphs and dry fly, May fly and beetles and Caddis have taken some nice fish both day and evening rise. 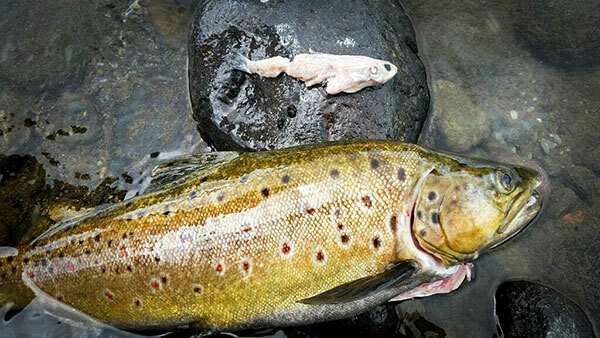 Brown Trout have arrived for their summer spawning run in all rivers and streams. 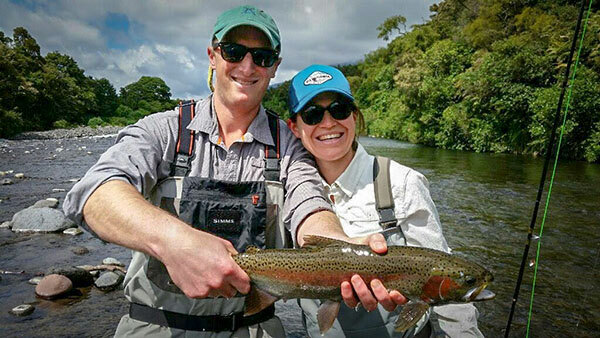 With this early spell of hot weather here in the Lake Taupo - Turangi area we have Cicadas all ready hatching from the ground so looks like a fantastic summer of dry fly fishing coming for the fly fisherman this season. 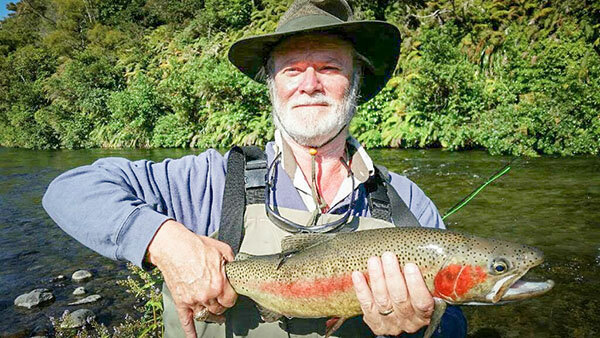 Good reports from Lake Otamangakau are coming in of nice conditioned fish being caught from the bank sight fishing for browns. 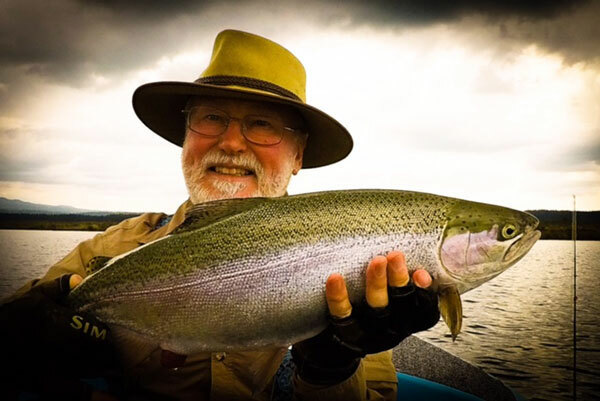 Lake Kuratau is fishing very good with many nice eating trout being taken. 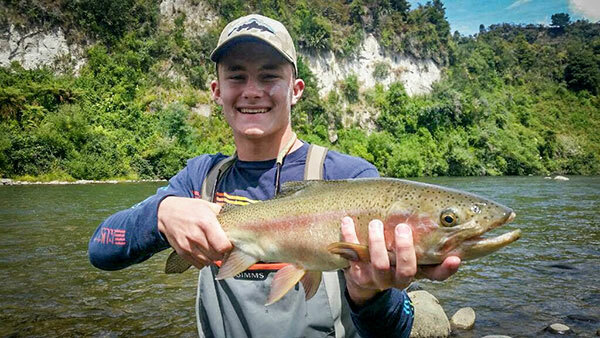 Stream mouths flowing into Lake Taupo are producing some top eating trout after sunset up untill midnight with good reports coming in from the Northern streams flowing in to lake Taupo. 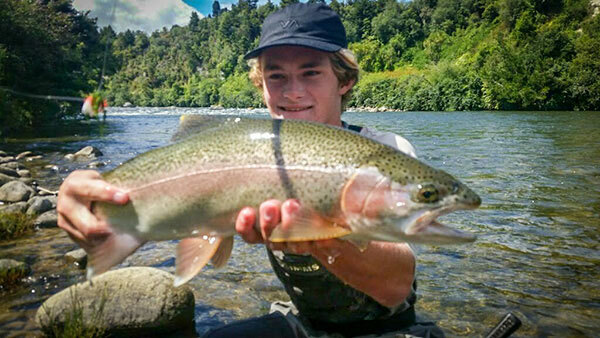 Jiggy and trolling on Lake Taupo have been out standing with many very good trout being taken. Ben and Alex from UK stayed at the fantastic Creel lodge in Turangi, completed the Tongariro crossing. 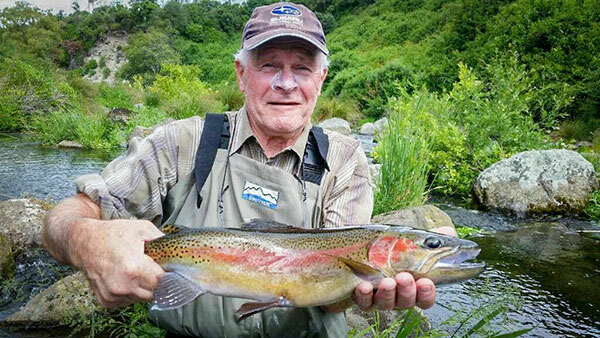 And caught some nice rainbow trout fly fishing in the Tongariro river with dry fly.